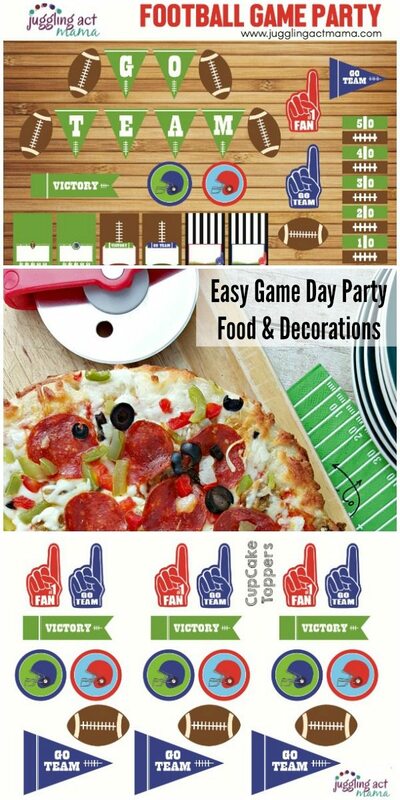 I love a good party, especially one that doesn’t require a ton of time in the kitchen. 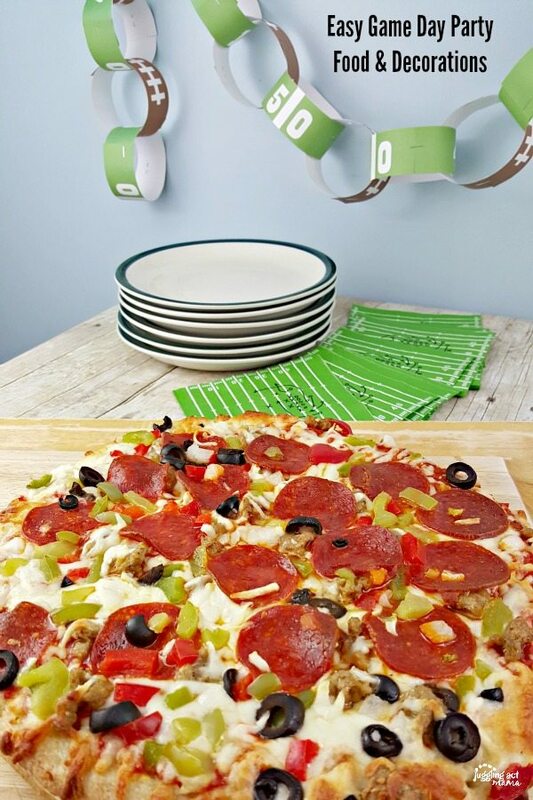 With DIGIORNO, you can spend more time with your family and friends enjoying the game (not to mention half time and the commercials!). All you need is about 20 minutes in the oven and you have a freshly baked delicious pizza for your guests! I love how the dough rises as it cooks, and fills the whole house with a delicious aroma! There are plenty of topping varieties to choose from, so you’ll be able to #MakeTheRightCall and have something for everyone. 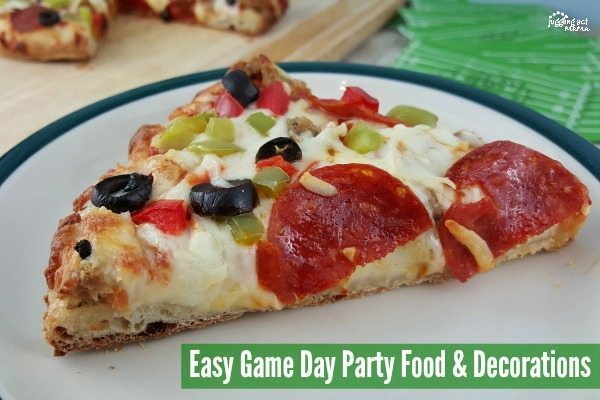 With DIGIORNO you’ll get the most out of your game day party! 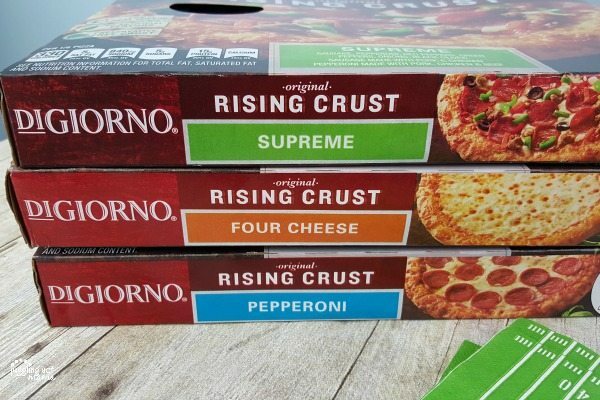 While the kiddos enjoy the Four Cheese the best, my husband was so excited for the Supreme pizza! 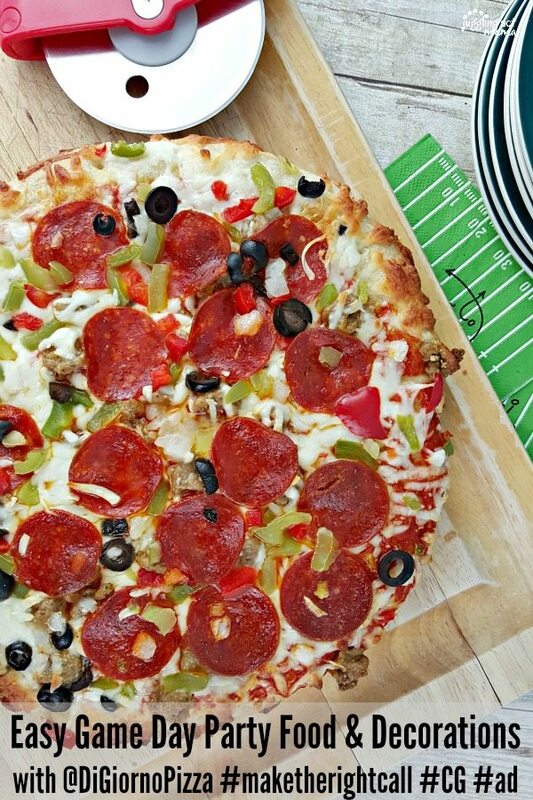 It’s loaded with pepperoni, sausage, olives, peppers and onions. Of course if you’re going to have party, you need a nice variety. We served up Pepperoni also, but there are tons of delicious offerings like Hawaiian, Three Meat, and even Italian Spinach Mushroom and Garlic to name a few. For the upcoming game, we’re going to try the Italian Sausage and Spicy Chicken Supreme! 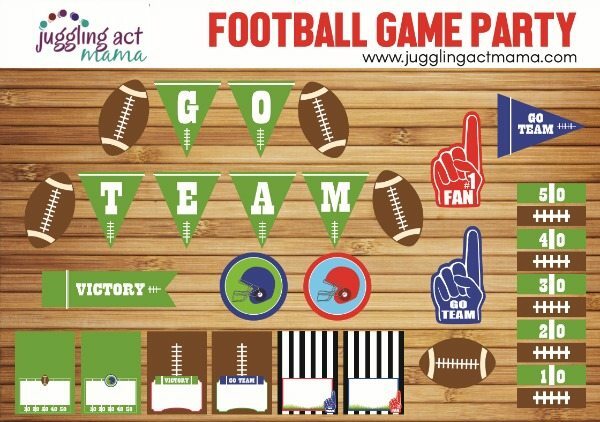 Now when it comes to an easy game day party, what could be simpler than a few of these cute printable party decorations? 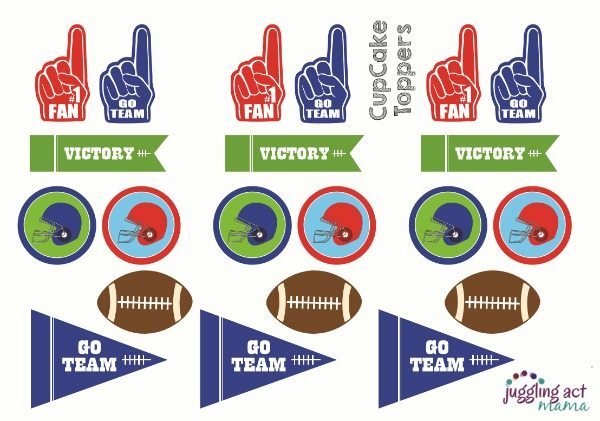 These fun food picks and cupcake toppers are great for decorating your game day grub table! And the food tents let everyone know what’s what – no mystery dips here, friends!